Next Teusday (December 11), Professor Barkey will be heading to Louisville to give a talk to the Louisville Comittee of Foreign Relations. He will be talking about curent issues in the Middle East. Presentation option – Direct research funding to support approved student participation in a conference, workshop or program where students present original International Relations research. The Lieberman Student Research Award will reimburse a portion of or all of the student’s expenses for this purpose. 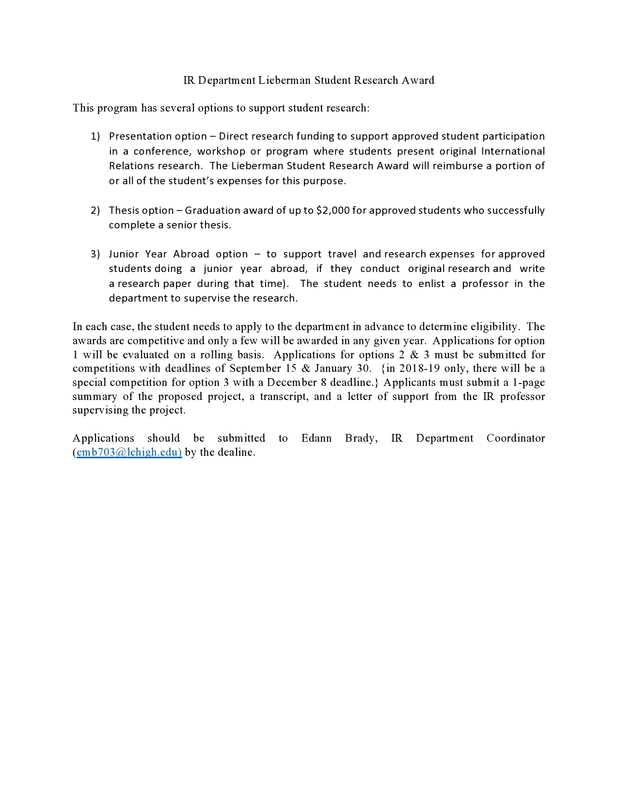 The International Relations Department is offering competitive student research grants. Please see the details above. Professor Henri Barkey spoke on the PBS News Hour on Tuesday night. See link below. Join IR & Professor Barkey for lunch to learn more about internships in IR. 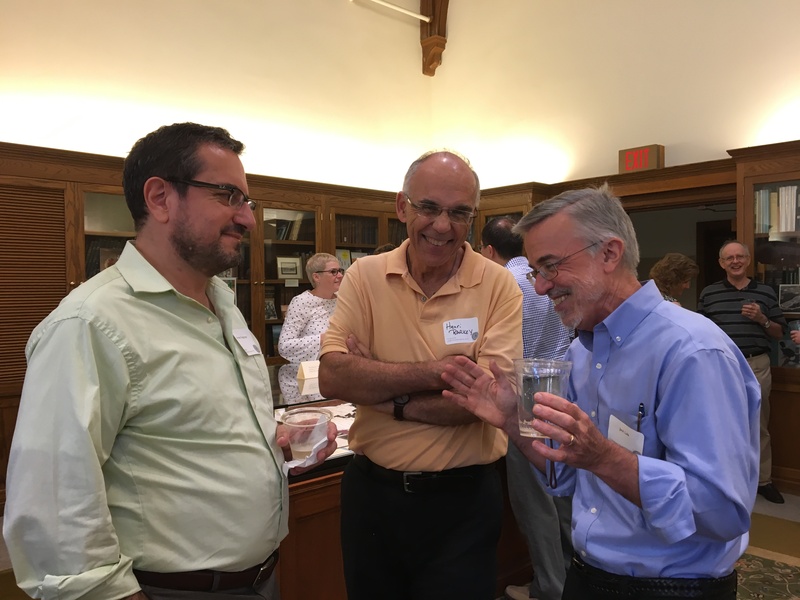 Professor Grigoryan was among several members of the Lehigh Faculty honored at a reception on Monday in Linderman Library. The reception was spotlighting the books published by faculty over the past year. A collection of essays and speeches on Armenia-Turkish relations and the Karabagh conflict, by independent Armenia's first president, Levon Ter-Petrossian, which was edited by Professor Grigoryan was among the books recognized at the reception. "Armenia's Future, Relations with Turkey and the Karabagh Conflict"